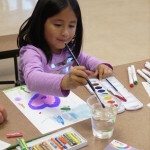 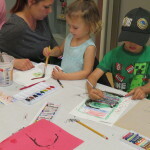 Thank you to our project partner Riley Street Art Supply for providing all of the art supplies for the Family Art Night. 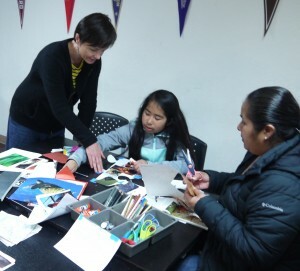 RileyStreet also generously donated fantastic art kits to all of the students who lost their homes in the fires. 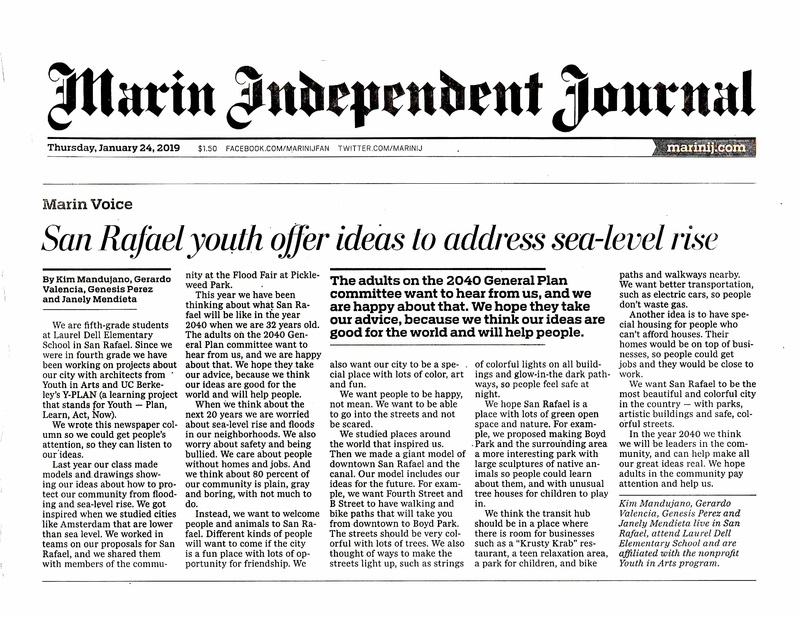 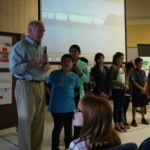 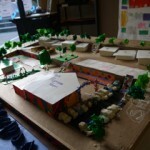 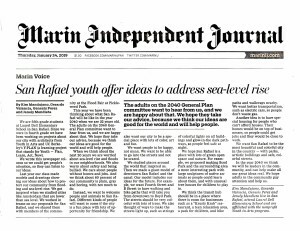 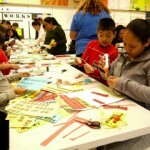 If you are interested in supporting the program, please donate here. 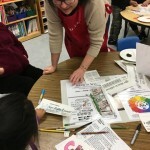 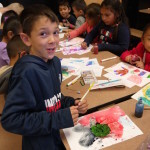 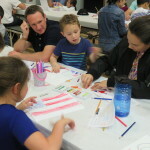 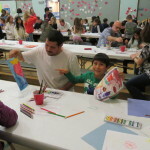 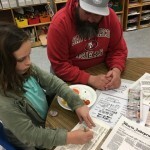 Cascade Canyon School families gathered earlier this Fall to make family flags as part of a Youth in Arts visual arts residency. 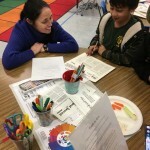 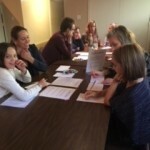 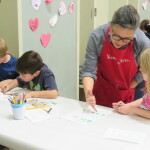 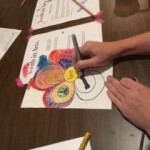 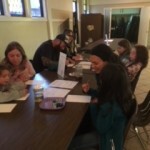 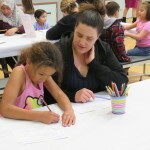 Working with Mentor Artist Cathy Bowman and Program Director Morgan Schauffler, families participated in a lively discussion about the meaning of symbols and what shapes best represented each family. 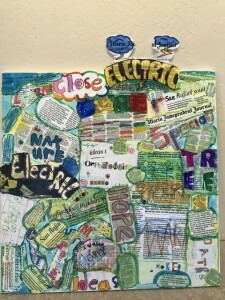 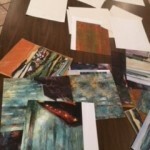 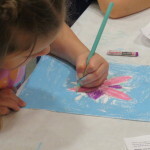 The artists began by tracing their images on scratch paper, then transferring onto recycled canvas panels. 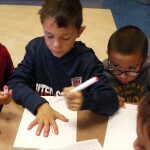 They decided which lines and shapes to keep, and traced over those with a black pen. 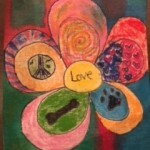 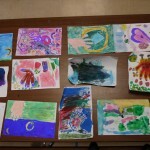 Artists then used black Sharpie pens, oil pastels and watercolors to complete their pieces. 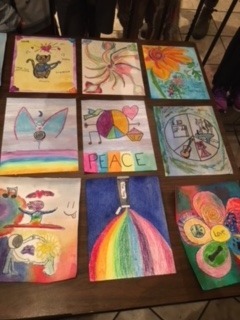 Artists were encouraged to think beyond familiar symbols such as a heart or peace sign and consider using shapes that had no name or familiar form. 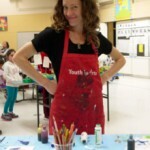 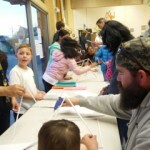 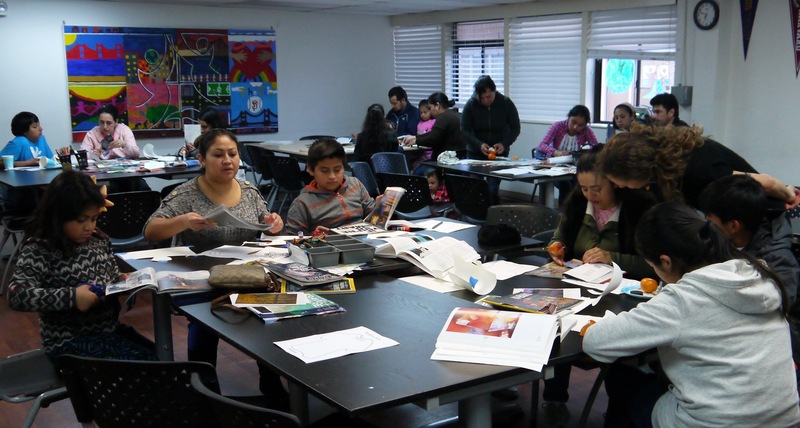 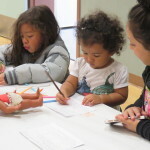 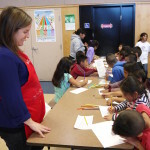 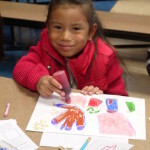 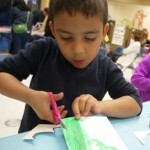 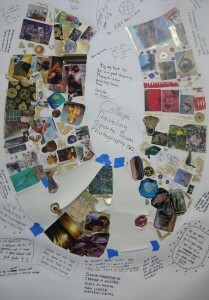 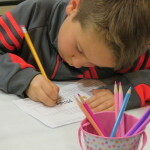 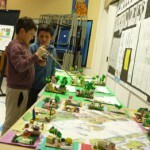 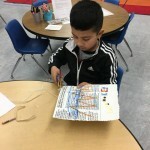 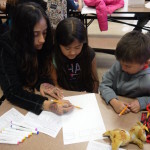 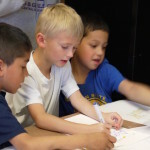 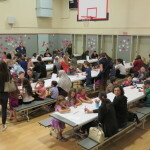 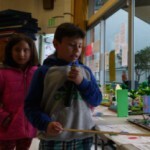 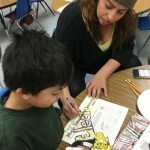 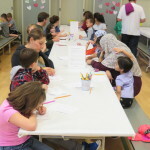 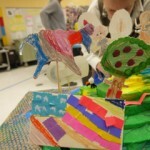 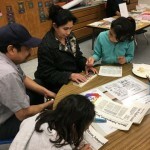 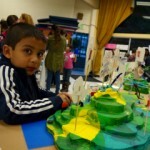 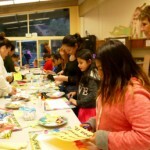 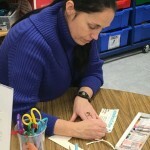 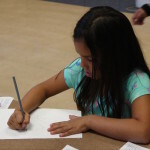 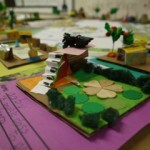 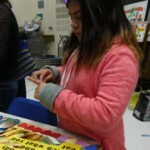 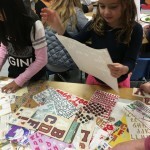 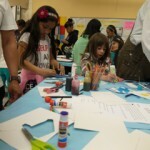 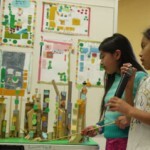 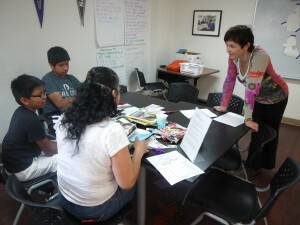 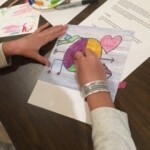 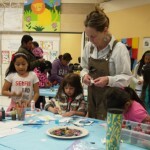 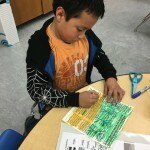 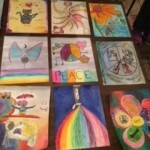 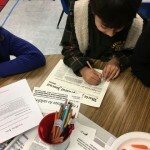 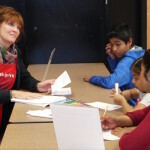 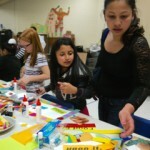 The event was a great chance for parents and their children to collaborate artistically. 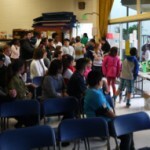 Thank you Cascade Canyon! 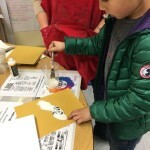 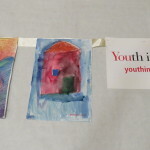 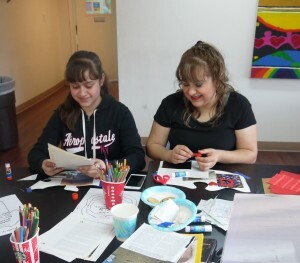 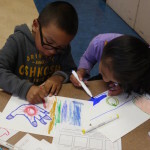 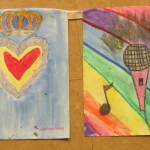 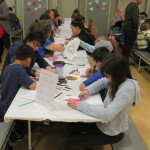 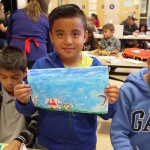 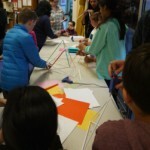 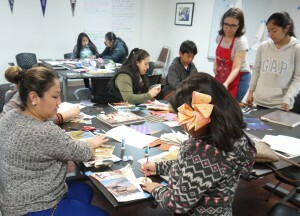 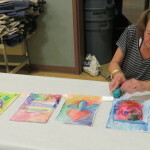 Youth in Arts organized two wonderful multigenerational art events with the Canal Alliance’s University Prep students on March 24th and April 21st. 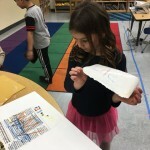 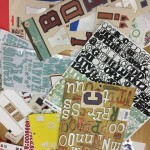 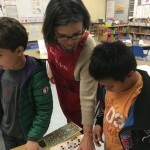 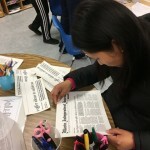 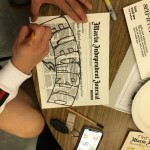 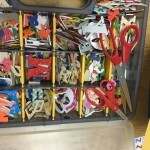 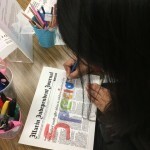 The students, their parents and siblings worked together on collaging large puzzle pieces that when put together created the letters U and P (University Prep’s acronym). 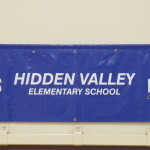 The letters are on a banner that will eventually hang at UP!. 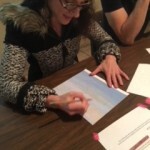 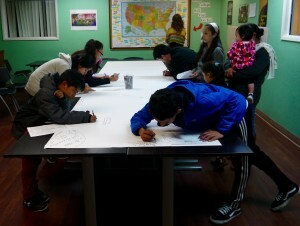 Everyone wrote their goals for the future on the background of the banner in black sharpie, so that the large letters stand out against a black and white background. 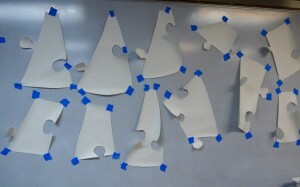 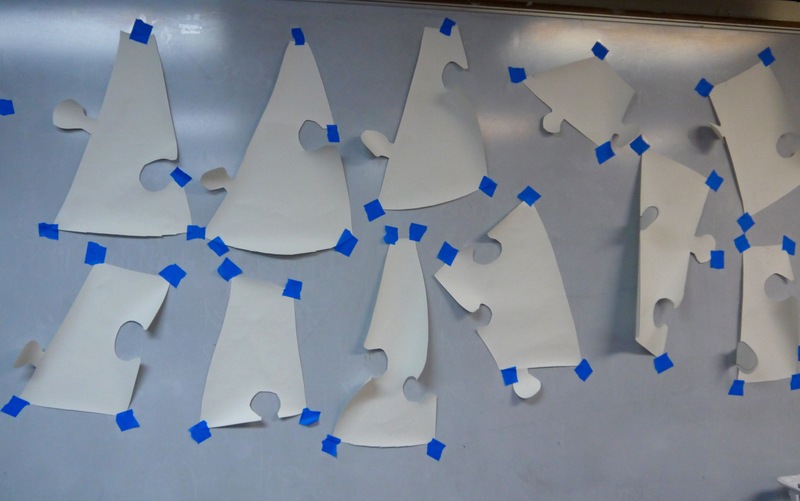 All of the participants worked together at the end of the evening to put the puzzle pieces back together. 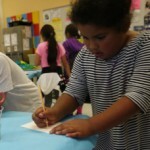 We had a great time with the UP! 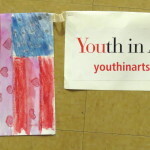 students, their families, the staff, and YIA mentor artists Sophie Cooper and Sofie Siegmann.